Submitted by Calcutta Music on Sat, 04/23/2011 - 13:04. 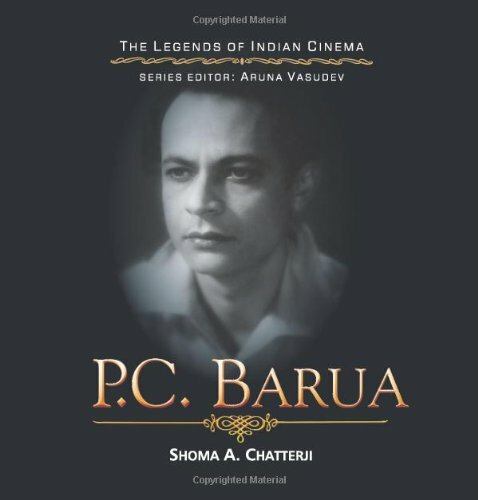 PC Barua was an enigma throughout his life. This is the first time his life story has been written for a wider readership of the man who turned Devdas into a myth. You can order Shoma A Chatterji's Legend of Indian Cinema series book "P.C. Barua" online. Submitted by Calcutta Music on Wed, 04/06/2011 - 12:22. Calcutta, April 6, 2011 (Washington Bangla Radio) The eagerly awaited biographical book "A. R. Rahman: The Spirit Of Music" by Nasreen Munni has been released an is available online. The book comes with a free audio CD. The book is available in India and USA (as well as world-wide). Read all about the book and order it online. Submitted by WBRi on Sun, 03/27/2011 - 19:39. Washington, DC, March 27, 2011 (Washington Bangla Radio) Nirendra Narayan Dev is a well-known name in the world of political journalism in India. His books Ayodhya - Battle for Peace, The Talking Guns North East India, and Godhra - A Journey to Mayhem, have been critically acclaimed in observers and commentators on the political scenario of India. He is not only a writer, he is also associated with and a special correspondent of one of India’s and the World's most revered news dailies - The Statesman. Nirendra spared a few minutes to talk to Bidisha on WBRi about the political scene in India, about journalism, plagiarism and his current and future projects. Submitted by Calcutta Music on Tue, 03/22/2011 - 11:06. Nirendra Dev shows some confidence to pen the lines effectively often punctuated with sarcasm - this new book is an exploration of common people’s changing soul through the history of decades-old confrontation. Calcutta, March 22, 2011 (Washington Bangla Radio) Expatriates from the South Asian nations settled in the west also play a major role with regard to the growth of communalism in the region, says a new book on India’s highly disturbing Ayodhya dispute even as it claims that the future “cannot be very good for the sectarian forces” either in India or even in Pakistan and Bangladesh. Penned by a New Delhi-based Bengali journalist, Nirendra Dev, the book, ‘Ayodhya: Battle For Peace’, says the fundamentalism “would bury its ugly head soon” and cites the instances of return of Sheikh Hasina regime in Bangaldesh and the matured response to 30 September, 2010 verdict on Ayodhya verdict in India to strengthen the argument. “Actually, one should not blame the NRIs. Many say, in the west or in a country like Australia under a growing racial structure, fundamentalism like Hindu radicalism or hardline Muslim practices often tend to represent the national pride and identity – howsoever faulty,” it says. Dev, at present working with daily ‘The Statesman’ in New Delhi bureau and stationed during the verdict days at Ayodhya, says among other things “The manner in which people responded to the September 30 ruling offers enough reasons to keep the secular disposition optimistic that the days of fundamentalism are numbered for the common man has had enough of it and long since rejected the same”. Dev, who had earlier authored a book on Gujarat riots of 2002 titled, ‘Godhra - A Journey To Mayhem’, analyzes the political fallout of the Ayodhya verdict, and quoting the local residents of Ayodhya and Faizabad, predicts that it could have adverse political fallout for Congress, the ruling party in India. Submitted by WBRi Web Desk on Mon, 03/14/2011 - 20:58. Chennai, Mar 10, 2011 (Washington Bangla Radio / PRLog) 'The Best of Tamil Cinema: 1931 to 2010', a two-volume publication with 700 plus pages, is the first-ever book written in English about the best movies of Tamil film industry. The book covers eight decades of Tamil cinema, ﻿from Kalidas (1931) to Nandhalala (2010). Written by Mr. G. Dhananjayan, Chief - ﻿South Film Business of UTV Motion Pictures, the book is a profound account of expert opinions and views of the performance of 232 iconic Tamil movies till date. Submitted by Calcutta Music on Sun, 02/06/2011 - 21:07. ‘M-Factor’, written by Asish Basak, is an absorbing tale from vehement times of Mohammad Ghori and Timurlane till the rollicking days of Shah Rukh Khan and Katrina Kaif. It begins when Islam appeared like a desert-storm in the Arabian peninsula and thundered to India on stomping hooves and flailing swords, It maps Muslim impact in India’s ‘Mission Possible’, and how the Muslims slowly Indianised to become a part and parcel of this wonderfully endowed time-tested civilization. Submitted by Bidisha on Fri, 02/04/2011 - 13:36. She has a beautiful mind and she heals the mind and body of those who seek her help. A software developer by profession with a Master’s degree in Computer Application, Ms. Shivi Dua is now a known name in Cosmic healing. She spared some time out of her busy schedule to talk about her therapies to the readers of WBRi. Submitted by WBRi Web Desk on Wed, 01/12/2011 - 14:47. New York, January 6, 2011 (Washington Bangla Radio) Returning to print, it’s ALL I NEED TO KNOW ABOUT FILMMAKING I LEARNED FROM THE TOXIC AVENGER by Lloyd Kaufman (director of The Toxic Avenger, and Poultrygeist) and James Gunn (writer of Dawn of the Dead and writer/director of Tromeo and Juliet). It’s the book that Lloyd Kaufman wrote that James Gunn wrote. Mr. Gunn’s career has flourished since All I Need to Know was first published in 1998, and now he’s one of Hollywood’s most sought after screenwriters and has an eagerly awaited film, Super, on the way. Meanwhile, Lloyd Kaufman’s career has festered and has gone nowhere since 1998. So we are pushing James Gunn here in hopes that you will review this classic book. Submitted by Supratim-Sanyal on Tue, 12/14/2010 - 22:09.